A CCTV system in a factory brings many benefits, not least of which is a positive effect on your business. Most obviously, it acts as a deterrent to would-be thieves. Speak to anyone who has installed surveillance cameras and they will tell you that the amount of thefts from the factory has declined significantly. If a theft is perpetrated you have CCTV footage at hand to identify the culprits and bring them to justice. Nor do you have to be on site. You can keep on eye on by means of systems which can be viewed and controlled remotely over the internet 24/7. CCTV also has benefits with regard to a safer working environment, ensuring that health and safety guidelines are being adhered to, and you can ensure that your staff are working as they should. It is also a good way of identifying equipment faults and any areas of production that could be improved. There have been a growing number of compensation claims in all aspects of society and CCTV can eliminate any fraudulent claims concerning your factory premises. When you consider the huge quantity and variety of materials and goods which are stored in warehouses up and down the country it comes as no surprise to discover that CCTV surveillance systems are in common use in such situations. As reports of theft and vandalism in warehouses escalated it became obvious that security guards required some assistance in their task, and CCTV was seen as an ideal means with which to help protect the property. The obvious benefit is that you have surveillance 24/7 and if there is an incident you are able to refer to the video footage and take appropriate action. The primary reason for installing CCTV is to provide security and that it does by acting as a deterrent to would-be thieves, who will instead target property which is lacking in security measures. If anyone is foolish enough to break in to your warehouse then you will have CCTV footage which will enable you to identify the culprit and bring the guilty party to justice. Another aspect of the surveillance is that you will be able to keep an eye on the activities of your own employees, thus making sure that none of them is guilty of some malpractice. Your staff can also benefit in that the use of CCTV helps to protect them from potential hazards and if there is an incident resulting in injury immediate assistance can be summoned. Another benefit is that you can monitor your warehouse at any time and from anywhere by means of a remote surveillance feature which allows you to monitor your property, inventory, machinery and employees via the internet. Call us today on 0800 211 8310, and we can provide equipment and installation to the highest standards and, if necessary, we can set up the system at a time when it causes least disruption to your business. CCTV for factories and warehouses is essential in today’s day and age. With increased crime rates, being able to monitor large spaces easily is vital in modern factories. Specialist CCTV systems provide around the clock surveillance helping to safeguard equipment, stock and staff. Unauthorised access can also be prevented without any extra costs. 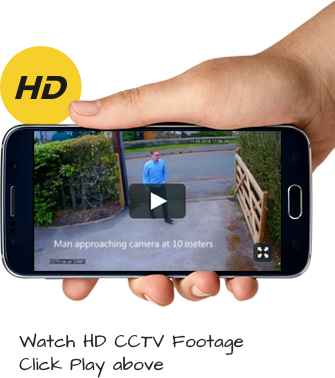 More sophisticated CCTV systems feature perimeter and intruder detection. Surveillance cameras on factories and warehouses can act as a huge deterrent to potential thieves. CCTV is also great for keeping an eye on employees. Helping to create a safer working environment for all workers, CCTV systems can help identify safety issues and ensure all health and safety guidelines are being adhered to. With a rise in insurance claims in the workplace, CCTV can help eliminate fraudulent claims. Cameras can also be placed in staff areas, helping to protect their valuables. A cost-effective security solution, CCTV provides greater security for large areas. Security guards will be required to carry out fewer patrols and instead spend more time monitoring live footage, perfect for large warehouses and factories. If the unthinkable does happen, then CCTV footage could provide vital information and evidence to help bring the perpetrators to justice. The latest surveillance systems feature clear, detailed images. No matter how big or small, your factory or warehouse CCTV systems can be completely bespoke to meet your requirements. Hidden areas can be monitored with ease and specialist cameras can be installed for effective use in the dark. CCTV systems can be installed both indoors and out. Remote surveillance allows users to control and monitor CCTV at any time, from anywhere via the internet. Computer and mobile apps provide 24/7 access to recorded and live footage without having to be at work. Independent monitoring is also available.